Saturday, February 23rd join Park Attendant Eric for a rain or shine hike to the summit of the Volcan Mountain Wilderness Preserve through manzanita, oak and cedar forests. 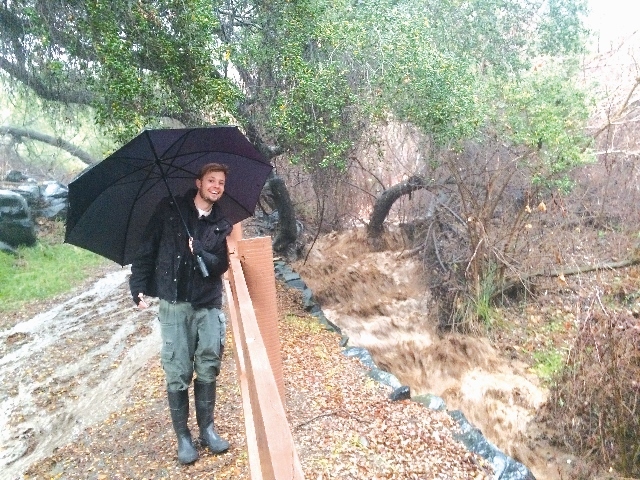 February weather can be difficult to forecast on Volcan Mountain, but let's embrace the uncertainty. Don your best cold, windy, wet-weather gear for an all-weather, six-mile round-trip hike to the summit! Rain and wind, clear and calm - buck-up, the hike is on! This hike is considered strenuous. Be prepared for a 1,000 foot elevation gain to the summit of the Wilderness Preserve. Wear: sturdy hiking shoes and dress in layers as the temperature can change dramatically as we reach the summit; be prepared for cold and possibly damp and windy conditions. Park: along Farmer Road and walk 300 ft. up the gravel driveway to meet at the Hubbell gateway at 10:00 am. Please consider carpooling with people from your area -- we can all do our part to reduce greenhouse gas emissions and help the county meet its Climate Action Plan goals. Location: 1209 Farmer Road, Julian, CA 92036; just north of Wynola Road intersection with Farmer Road. 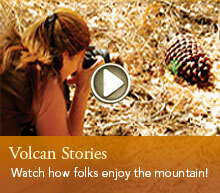 Visit: the Volcan Mountain Foundation's website at www.VolcanMt.org for ongoing updates of events and activities on and around the Volcan Mountain Range.